Can I post to Park Slope Parents about my availability? No. We only allow employers to post about nannies with whom they have worked. My current/past employer is a member and wants to post on Park Slope Parents on my behalf. How can I help make that happen? Posting to the PSP group has requirements which have changed over the past few years. Please have your PSP member employer read Helping Your Nanny Find a NEW Job as well as How To Post For your Nanny on PSP that links to the requirements. You might help by providing your work start date as well as your future availability. Your employer must be a Brooklyn resident to become a member of Park Slope Parents. How often can my employer post about me on Park Slope Parents? We only allow recommendations once every two weeks, regardless of who is posting. Also note that PSP only allows 12 posts per calendar year for a nanny. One thing that can make you look like a stronger candidate is having your former employers post multiple recommendations on the same nanny post. Why can my employer post once every 2 weeks, and capped at 12 post a year? Feedback from members, regardless of recommendations coming from multiple employers, is that too many posts about a candidate is seen as a red flag in their search. Members will avoid approaching nannies who are frequently written about for a variety of reasons: frequency is symptom of unhireability and persistent posting is spam-like. 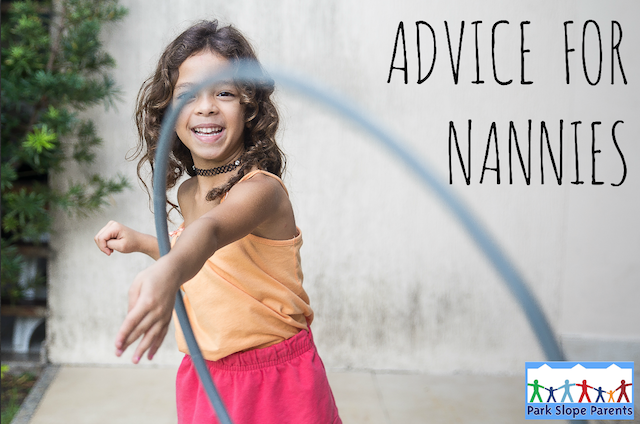 In other words, PSP has found that when it comes to talking about how great your nanny is, there can be too much of a good thing. Can I ask my employer to forward me ISO post from Park Slope Parents members? No. Forwarding ISO messages is strictly prohibited. Your employer will need to reach out to the poster on your behalf. If a nanny is found to be contacting potential employers from Park Slope Parents we no longer allow recommendations to be posted about that nanny. How long does it take for my recommendation to appear on the Park Slope Parents Classifieds list? It can take 24-36 hours for a post to appear, longer on weekends. It might also take longer if the post is missing required information or there are errors in formatting. How long does my recommendation stay up? Your recommendation exists on the Park Slope Parents Classifieds list indefinitely. Most potential employers search back a month or less, though, so posting every two weeks (especially during times when many nannies are looking for work) is important. I need a job-- what other websites can I use to find a job? There are many places where you can post your availability yourself. While we do not have explicit experience with these other websites, these are places PSP members have used to hire and post for babysitters. NOTE: Slipping your information into the pocket of a mom on the street is not a great way to endear yourself to potential employers. 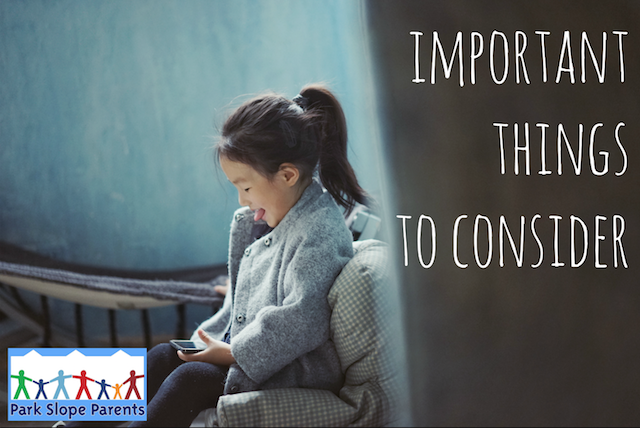 I know that it might seem resourceful and proactive, but parents tell us that it is off-putting. NOTE: Park Slope is a diverse community comprised of many different types of families. Some families seeking nannies on this group may have values or domestic habits that are different from yours such as having orthodox religious views, special diets (such as being vegan/vegetarian or keeping kosher) or special medical needs. Park Slope is home to blended or adoptive families, LGBTQ parents, international families, and single parents to name just a few. Please take a moment to consider whether you can work for a family whose values may be different than your own. Always use tact and be respectful when speaking with prospective employers. Overtime pay of time-and-a-half of the worker’s regular rate of pay for every hour over 40 hours worked in a week (44 for live-in workers). Any worker who works more than 40 hours a week must be supplied temporary disability benefits by their employer. 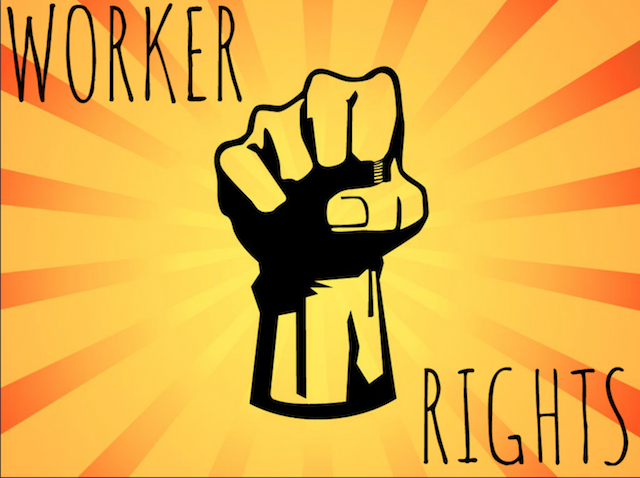 Workers are protected from harassment based on gender, race, religion or national origin. 3 sick days per year after a year's tenure. Go to labor.ny.govand search “Domestic Workers’ Bill of Rights.” Go to www.nyc.gov/PaidSickLeavewhere DCA provides guidance specifically for domestic workers. Why get paid on the books? You'll be enrolled in Social Security and Medicare Benefits, so you'll have security in retirement. You'll build an "employment history," necessary for things such as credit cards, auto insurance, credit ratings and buying big ticket items like a house or car. It's the law. It is illegal to be receive financial compensation without paying the appropriate taxes. Your employer is required to pay your Social Security, Medicare and Federal and State unemployment. They are also responsible for paying disability insurance. On top of that, YOU will owe federal and state taxes that your employer can take out FOR you. . NOTE: Some employers will pay this for you so you have a higher take home pay, but they are not legally obligated to do so and that extra money also counts as income. While you may want to keep the same take home pay that you had if you have been paid off the books in the past, know that the benefits of being paid on the books is better than the extra money, which WILL come back to you down the road. Question to ask your employer about being paid on the books: Is my hourly rate pre-tax or take home? What you're asking is whether you'll walk away with $X/hourr or $X-taxes/hour. For example, if your pay is $17/hour pre-tax, then your take home pay, after taxes, is about $14/hour. So if you're making $17/hour and working 40 hours, your take-home pay would be around $560 (not $680). However, if the hourly rate is a take-home rate, your employer will be paying in about $20.64/hour ($825/week), so that you walk away with the full $17/hour (or $680/wk). There's a good Nanny Paycheck Calculator HEREif you want to better understand the implications of an on the books job. Review the eWork Agreement (you can find an example here). Even if you or your employer do not want to sign it, you should be aware of all the things that it spells out. Discussing the issues below before you are hired can save a lot of trouble in the long run. What paid holidays will I receive with this job? Negotiate ALL holidays up front. Some employers don’t get basic days off like MLK Day and Presidents’ Day, while others do but may expect you to work. Know what to expect and spell it out! There’s nothing as awkward as finding out that you have to work when you thought you’d have the day off. If you don’t discuss it and your employer gives you the day off begrudgingly it can leave bad feelings. How many vacation days will I receive? Knowing how often the family goes on vacation or has family/friends visit will help you better plan your life. 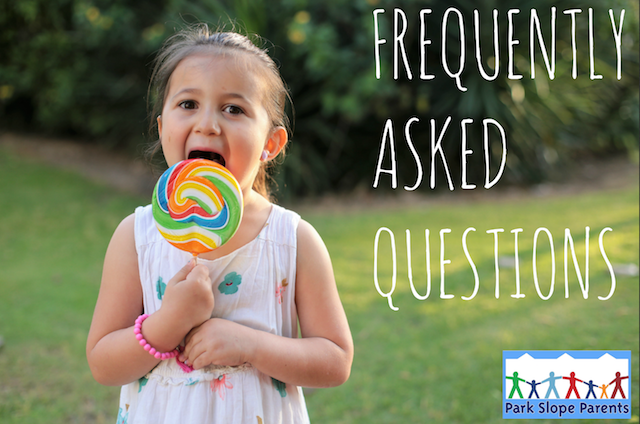 Asking this question, along with saying “I’m available 52 weeks a year; will I be paid for days when grandparents are in town or when you come home early?” is a good thing to know (and should be in your work agreement). Most families pay their nanny 52 weeks a year, but we’ve heard from nannies that some don’t get paid when they don’t work, even if they are available to work. Knowing that the family is gone more than the agreed upon two weeks’ leave but you will get paid will give you peace of mind. When will I get paid when you go on vacation? We’ve heard from nannies that a family takes a two week vacation but doesn’t pay the nanny until they get back. If you’re counting on a weekly income point it out that you’d love to get paid ahead of time for at least a week of the two week pay. Do I get time off of my own choosing?- If an employer travels a lot and gives you four or fives off during the year, for example, they may be shocked to learn that you want time off of your own choosing and feel like you are demanding too much. Negotiate whether you will be able to take your own time off or if you’re expected to take time off only when they are off. Discuss this up-front in case you want to take a trip for a family reunion you don’t have to feel like you’re putting them out. Are you a punctual person? This is a tricky issue to bring up, but knowing how reliable your employer is can be important. We’ve heard from many a nanny that they are hired for a certain time period but that their employers are chronically 10, 15, or even 20 minutes late. It is especially crucial to know you can count on your employer being home if you have your own time-sensitive obligations. Will I get paid if I’m sick? By law you are given 2 days paid time off, but that is after working for a family for a year. Figure out what will happen if you get sick and can’t work. Find out whether you will get paid if you’re sick. Many employers will take the day off if you’re unable to work; some will hire a replacement for you. You can ask if it would be helpful if you find a replacement. Most employers say they don’t have issues around their nanny being sick, but know how many you have up front, and also how much lead time you need for medical appointments. (Give your employer as much lead time as possible around medical appointments). Can I bring my child to work? This can be a loaded question to bring up after you start a job, so bring it up early if it may be an issue. Some parents are okay with this, others are not. Some may even expect to pay less on days you bring on your child. Talk through these things up front. Are you planning on having more children? This is a question we’ve heard many nannies ask potential employers. A nanny may feel more security taking a job when there’s an expectation that the family will have another child. Be careful asking this question, though, since some families may have had difficulty getting pregnant or there are other reasons they can’t have children. Are you planning on moving anytime soon? This is another questions we’ve heard nannies ask potential employers. Just realize that lives change (employer job loss and promotions) and you can’t count on a “no we don’t plan on moving” answer for job security. Will the job change if a child starts school? Some parents want to keep their nanny when their child starts school but can’t justify paying full time wages for part time work. This sets up a difficult situation if the employer wants the nanny to take on other duties (cleaning, shopping, food prep) but the nanny doesn’t want their job to change. Even if you think you made it clear during the time of hiring that you don’t want to do other tasks it may be time to look for a different job if adjusting duties is going to bring about feelings of resentment. What is my overtime rate? By law your employer is required to pay 1.5x your hourly salary over 40. However, we hear over and over that instead that the overtime rate is a few dollars more, not time and a half. However, if you are scheduled to work 30 hours a week and want overtime if you go over those hours you need to negotiate that rate which is not required to be 1.5 times your rate. Guaranteed Hours - Will you get paid even if you don’t work? 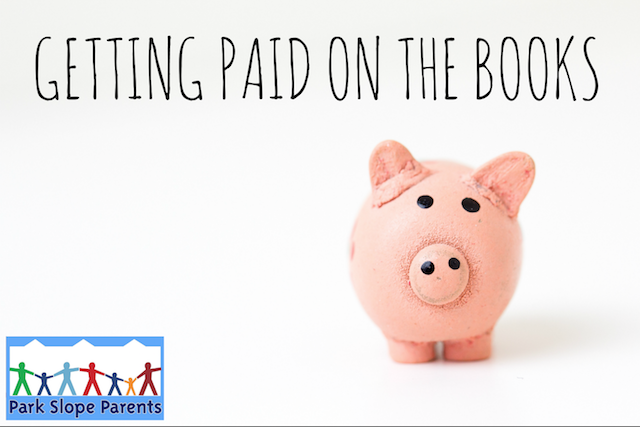 While there’s an underlying assumption that nannies get paid even when the family is on vacation, some employers instead pay on a “pay as you work” basis. Discuss this up front so you aren’t surprised to find out that you only get paid if you work and it’s the employer who decides. Other employers may want to have you do errand running or household chores at times when they are home with the kids. Can we have meetings to make sure we’re on the same page and that we have good communication? You can’t do your job if you don’t know how to do it better. Ask for reviews of your work or “quarterly sit-downs” . These meetings provide an appropriate time and space to discuss your working relationship when you’re not in the middle of the comings and goings of daily routine. They don’t have to be long meetings. You may want to discuss subtle changes to your work (coming earlier, staying later), upcoming kid changes (potty training, transition to a new bed, etc. ), and also any lingering questions or issues that shouldn’t be left to “fester” and create negativity. You should also be paid for these meetings. Will there be a nanny camera when I’m working? Be clear that you are absolutely okay if your employer wants to videotape your behavior when you’re on the job. Request that if they DO want to videotape you that you’d appreciate honesty rather than finding out that there’s a secret nanny camera. There’s nothing to ruin a working relationship than deceit. Fingernails—Some parents worry that their children will get scratched if the nanny has long fingernails. Dress Code—If your employer expects you to slide down the slide and chase your ward in the park, this is difficult to do in high heels, so make sure you know what’s expected in your dress. This is true as well for too much make-up. Cell-phones/Earphones - Have a clear idea of what employers expect in terms of your ability to talk on your cell phone or listen to music when you are on the job. Realize that they may not be okay with you listening to music or talking on the phone, even if the parents do it. Taking Personal Days Off—Give your employer as much notice as possible if you need to take a day off. Obviously this doesn’t include emergencies, but if you have medical appointments, etc., lead time is crucial for working parents to make necessary plans. If you can help with replacements that the employer knows and trusts, all the better. Discussing Bad Parents in Public - Unhappy in your job or with your employer? While you may be frustrated with your employer, watch what you say to other people and don’t badmouth them. Especially don’t talk about your frustrations in front of 1) the kids (no matter how old) and 2) at the playground in earshot of mothers who might know your employer. Talk to people you trust in a secure location. (Don’t worry, we’ll be telling parents the same thing in another document). Gossip - No matter what you do or how well you’re doing your job, at some point you may end up having people talk about you behind your back, either to your employer or among their friends. There are even websites devoted to anonymous reports of “bad” nannies (some of whom might deserve it, alongside others who are being unfairly targeted). Either way, it’s an unfortunate part of the territory, and there’s little you can do to stop it except to keep doing your job the way you know how and hope that the gossipers eventually lose interest and move on. If you feel like it’s getting out of hand, you might want to bring it up with your employer so they know your side of the story; they’ll appreciate your candor, and you won’t be as distracted wondering what they might be hearing from somebody else. Drama - Whatever you do, don’t let it draw you into arguments or conflicts with the people involved. Fair or not, no employer wants a nanny who seems to attract drama. Just turn the other cheek and stay positive about your work and yourself. And remember that the gossips are a small minority among the thousands of people who appreciate and respect the nannies in our community.